That pet dog styled USB hub couldn’t appeal to you? 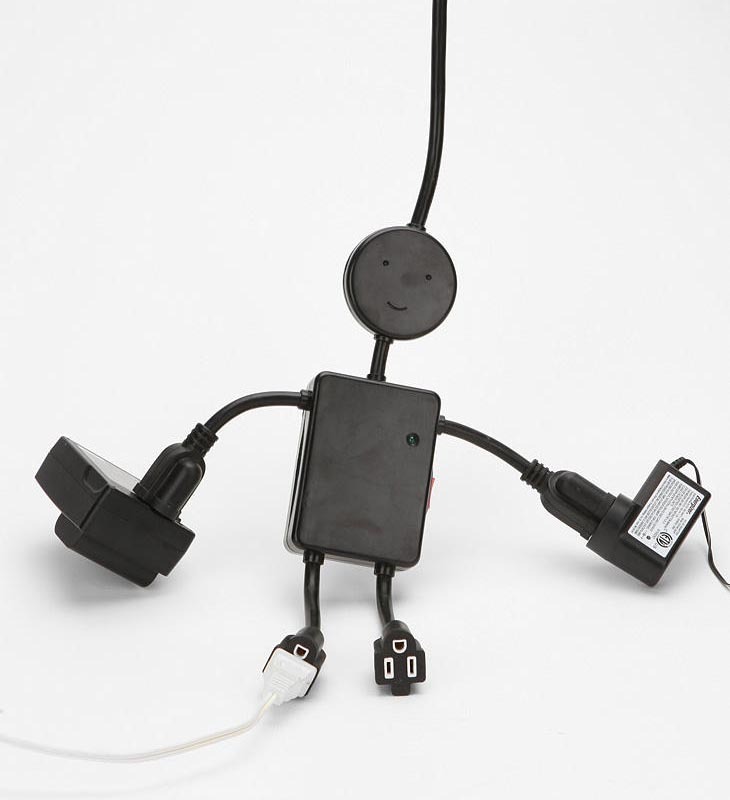 Check out the Electric Man, maybe the funny guy styled power strip can make you laugh, of course not only that. Electric Man is a slender little man that measures 12 x 1 x 14 inches. Unlike common ‘people’, the man doesn’t need to eat and drink. All he what to do is to help you power up various electrical appliances through the four flexible arms with 4 grounded power outlets. On the top of the head, there is a long cable with plug in order to connect the wall outlet. Apart from that, the unique power strip also comes with a LED indicator and On/Off switch for the safety of the electricity. 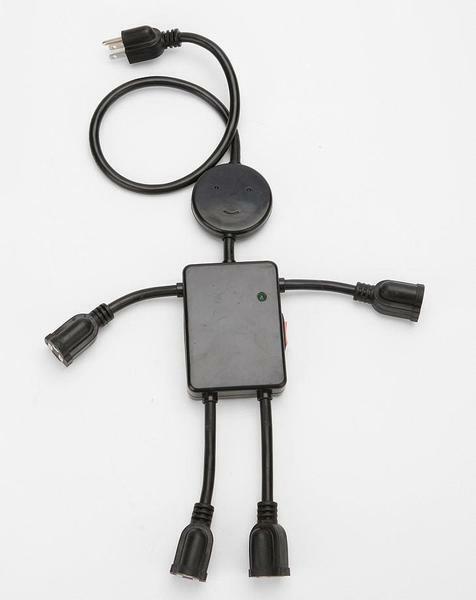 Electric Man power strip is price at $20 USD. If you’re interested, jump to Urban Outfitters for more details. Additionally, if you need more creative options, you may like to check Quirky’s Pivot Power and Power Pod.